Will The Huawei Case Finally Awaken Democrats To The China Threat And The Danger Of Faux Free Trade Rhetoric? On January 28 the Department of Justice of the United States unsealed two cases against Huawei, China's largest telecommunications company, and its chief financial officer, Meng Wanzhou. 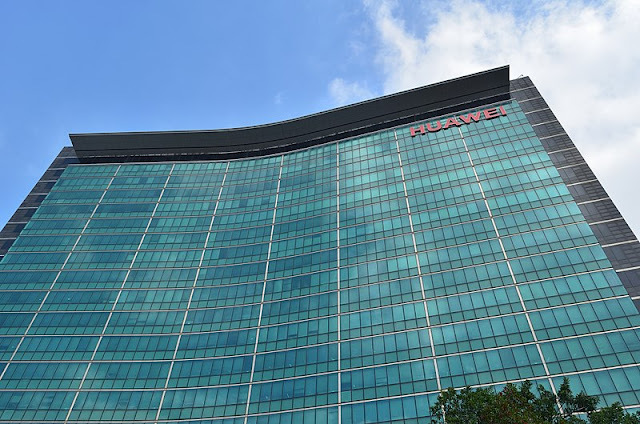 Huawei has been accused of trying to steal trade secrets, committing bank fraud, breaking confidentiality agreements and violating sanctions against Iran. One indictment claims that Huawei attempted to steal trade secrets from T-Mobile by promising bonuses to employees who collected confidential information. Huawei is not a company like any other. Over the years it has benefited enormously from the support of the Chinese Communist regime. The founder of Huawei, Ren Zhengfei, joined China's army during the Cultural Revolution. In 1978 he also joined the Chinese Communist Party (CCP). In the early years Huawei's sources of capital were high-interest loans (20%-30%) from Chinese state-owned enterprises. Ren also secured soft loans from the local government of Shenzhen thanks to his personal connections with the city's CCP municipal secretary. In 1998, the Chinese government recognized Huawei as a "national champion", which helped the company secure a 3.85 billion RMB loan in buyer credit from the China Construction Bank to help local governments purchase Huawei equipment. It also received a 10 billion RMB loan from the China Development Bank to help foreign firms buy Huawei products. Huawei further benefited from China's policy of barring foreign firms from competing in the telecommunications sector (Dan Breznitz, Michael Murphree, Run of the Red Queen: Government, Innovation, Globalization, and Economic Growth in China, p. 178; Winter Nie, William Dowell, and Abraham Lu, In the Shadow of the Dragon: The Global Expansion of Chinese Companies, 2012, p. 68). Although Huawei claims to be owned by its employees, its ownership structure is a jealously guarded secret (Edward Tse, The China Strategy: Harnessing the Power of the World's Fastest-Growing Economy, 2010, p. 56). But Huawei is not the only Chinese company to have ties with the government. As a matter of fact, China's strategy of state capitalism and its unfair trade practices have been known for years and are well documented. But despite the facts, Democrats have for decades attempted to appease Communist China and promote a faux concept of free trade. The Democrats have traditionally supported free trade. In the late 19th and first two decades of the 20th century, the major issue dividing Democrats and Republicans was the tariff, which the latter viewed as a cornerstone of US economic policy (Lewis L. Gould, Grand Old Party: A History of the Republicans, 2012, pp. 91-92). But the post-World War II era, both parties converged to the free trade doctrine. As I wrote in August 2018, liberals should re-evaluate the role of tariffs and trade restrictions. I have argued that four decades of trade liberalization have created no demonstrable positive effect on the middle class. Indeed, median incomes have been stagnant since the late 1960s while costs for housing, education and healthcare have grown. But more crucially, while free trade has not benefited the vast majority of the people in Western democracies, it has clearly benefited murderous dictatorships like Russia, China and Saudi Arabia, whose kleptocratic regimes have taken advantage of trade opportunities to enrich themselves. Huawei is only one example of how state-capitalist autocracies use government-linked firms to acquire technology, create wealth, and consolidate an oligarchic political system. Communist China is not just a competitor. It is a rival. The CCP regime violates human rights and labour rights, pursues unfair trade practices, threatens Taiwan, cracks down on Hong Kong activists, puts millions of Uighurs in concentration camps. and arbitrarily detains foreign nationals. Back in 2000 US President Bill Clinton endorsed China's entry into the World Trade Organization (WTO). It was only a decade after the 1989 Tiananmen Square crackdown on peaceful protesters. The suppression of Falun Gong practitioners was still ongoing. Yet the US rewarded the Communist regime by offering it greater access to the world markets. "We can work to pull China in the right direction, or we can turn our backs and almost certainly push it in the wrong direction.," Bill Clinton said in March 2000. "The W.T.O. agreement will move China in the right direction. It will advance the goals America has worked for in China for the past three decades ... [M]ost of the critics of the China W.T.O. agreement do not seriously question its economic benefits. They're more likely to say things like this: China is a growing threat to Taiwan and its neighbors; we shouldn't strengthen it. Or, China violates labor rights and human rights; we shouldn't reward it. Or, China is a dangerous proliferator; we shouldn't empower it. These concerns are valid, but the conclusion of those who raise them as an argument against China W.T.O. isn't." Bill Clinton and his advisors were wrong. China, just like Russia, is a threat to other countries. The only way to deal with them is make clear that Western democracies will not compromise on their values and national security. The very idea of free trade with these regimes is wrong, because there is nothing "free" about state capitalism, kleptocracy and oligarchy. The West and foreign regimes need to co-exist. To a certain degree, they need to trade. But trade should be well-regulated and supervised. Western democracies may offer help and assistance in terms of economic aid to the poor, scholarships, humanitarian support, whenever needed. Because the people of China and Russia are not the enemy, their regimes are. However, free trade and economic interdependence pose a threat to Western democracies. They benefit autocrats and kleptocrats, and allow those regimes to portray economic development as a victory for the dictatorial form of government, downplaying or ignoring the positive contribution of foreign experts, investors and consumers. For too long Democrats have supported China. For too long they have appeased Beijing's dictators. For too long they have promoted the dogma of free trade. Unfortunately, many Democrats have come to believe that opposition to Trump means being pro-free trade. This is a short-sighted view. Fair trade and the global promotion of democracy by peaceful means have nothing to do with Trump, they are policies that would benefit the progressive cause both domestically and globally.